Visual Basic is a program that allows developers to create their own software applications. If you've ever wanted to make your own apps, this program is a great place to start. Similar to HyperNext Studio, Visual Basic allows you to use both basic and expert settings and is a tool for developers of any expertise. Essentially, the program lets you create .NET Framework-based applications for a Windows PC. Major pluses include the ability to operate your new application a diverse span of programming languages, as well as excellent security provisions. From the early stages of the development of your application - even the stage where you create an efficient installation file - Visual Basic guides you step-by-step. Microsoft Visual Basic 2010 is designed around an intuitive drag and drop interface. To create an application, you need to make one or more forms, each of which will correspond to a screen in the application Then you need to fill them with various "objects," which can be buttons, text fields, menus and other options. The Microsoft Visual Basic ToolBox menu, which combines all these elements, can seem boundless, and contains helpful solutions for a wide variety of applications. The last step before completion of the application is writing lines of code to ensure everything runs together as it should. The syntax is virtually the same as in past editions of Visual Basic and, in general, is one of the most intuitive when compared to the rules of many other programming languages. The text editor included in Microsoft Visual Basic is also very good. There's even an error checker included. The only real downside is that absolute beginners might need to spend time learning more about the program interface before being able to hop into the application-making game. 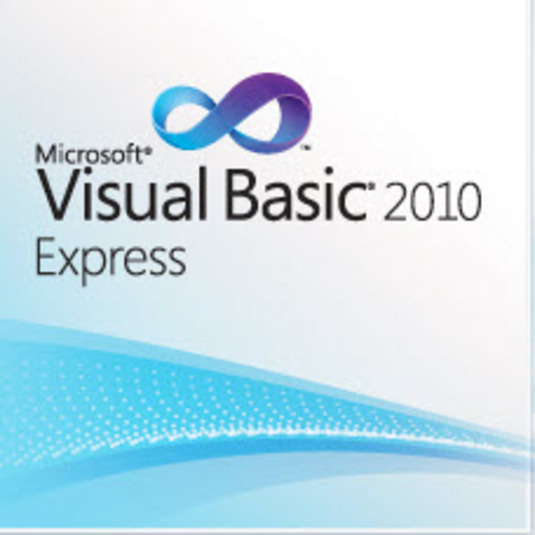 Visual Basic is a truly comprehensive application creator for developers of all ability levels.